BRONX, New York City — NYPD officers corralled a wayward cow running loose on a Bronx highway Tuesday. 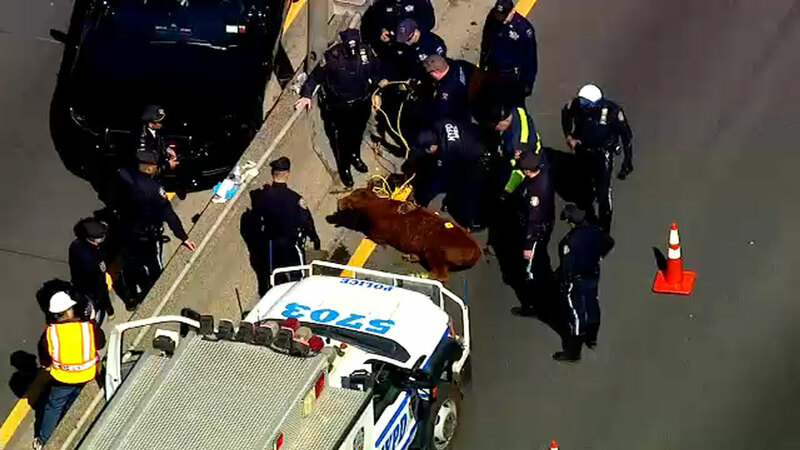 Emergency Service Unit officers wrangled the cow off exit 6 of the Major Deegan Expressway. It is unknown where the cow came from or how it got loose and ended up on the roadway. Animal Care and Control will temporarily take custody of the bovine, and Skylands Sanctuary of Wantage is on the way to collect the animal.